Intense and lasting moisturizing. Soothes. Helps repair skin. Proven efficacy. Safe & pure formulation. For dry, sensitive or irritated skin (eczema, psoriasis, dermatitis...). Scientifically proven benefits! The Hydrating Gel Plus HS – Body (5.07 fl.oz) is an exceptionally pure head-to-toe hydrating cream. It provides an intense and long-lasting moisturizing, soothes and helps repair skin. It is recommended for dry, sensitive, irritated (eczema, psoriasis, dermatitis…) or damaged skin (acne scars…). Suitable for babies, children, and adults. The Hydrating Gel Plus HS is based on an exclusive patented technology which brings a progressive and long-lasting delivery of active moisturizing and soothing agents. 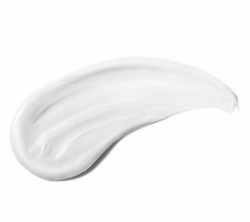 Its formulation is extremely safe and pure, with only 8 ingredients. Suitable for babies, children, and adults. Apply generously and as needed to the body, especially on dry, irritated or damaged patches. Reapply regularly for an optimal result. Can be used daily. The Hydrating Gel Plus HS is: paraben free – metal free (no Nickel, Chromium or Cobalt…) – fragrance free – EDTA-free – BPA free (no phthalates, bisphenol, non-toxic plastic) – sulfates free (no SLS & SLES) – gluten free – silicone free (no dimethicone) – alcohol free – mineral oil free (petroleum free) – lanolin free. 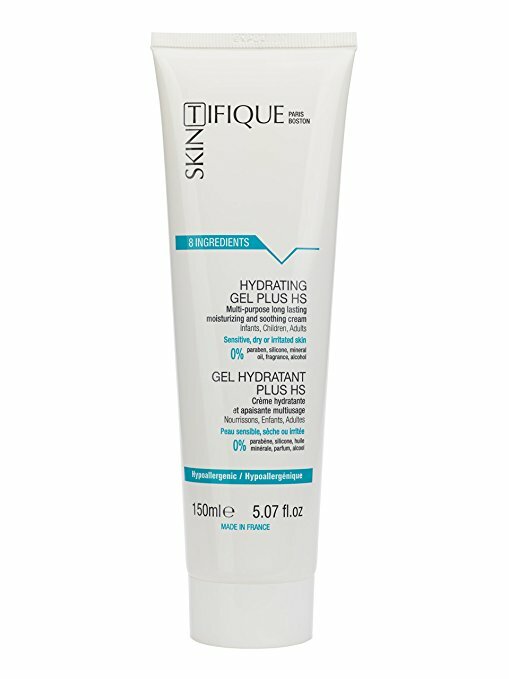 The Hydrating Gel Plus HS contains 98.9% natural ingredients. * In all the scientific tests carried out, some lasting over six months, measurements of the skin’s moisture levels were particularly high from the first use and remained so throughout the tests. I love what this product has done for my daughter’s severely sensitive skin. I just wish I could get it in a larger, more accessible container. We use this product 2x or more per day, all over. We want to use every last drop. Discover the assessment of the efficiency of the Protective Cream HPS for people suffering from metal hypersensitivities, such as Nickel, Chromium, and Cobalt.